The growing threat posed to human health by the emergence of antibiotic resistant bacteria is resulting in closer public scrutiny of how antibiotics are used in all areas, and particularly farmed livestock. Thanks to a variety of proactive initiatives including the development and progression of the National Feedlot Accreditation Scheme (NFAS) over the past 20 years, Australia’s cattle feedlot industry today has a very good story to tell when it comes to antibiotic use. However, despite using less antibiotics than other industries, other countries and human medicine, Australian Lot Feeders Association chief executive officer Dougal Gordon said the industry could not afford to relax in its efforts to continue to reduce antibiotic use. The issue of antibiotic resistance has been in the international spotlight in the past week after the World Health Organisation launched a new global strategy responding to the threat of antimicrobial resistance. Australia followed that announcement by launching its first National Antimicrobial Resistance Strategy last week. The strategy focuses on guiding everyone involved in the use of antibiotics – including health professionals, veterinarians and farmers – to understand what they should be doing to reduce the emergence of resistant bacteria that are becoming increasingly more difficult to treat. It was no coincidence that both our agriculture minister and health minister were involved in the launch of this strategy, because the challenge of avoiding the so-called “antibiotic apocalypse” is now widely seen as one that needs every user of antibiotics, whether they be in human health or animal health, to be working to mitigate the threat. 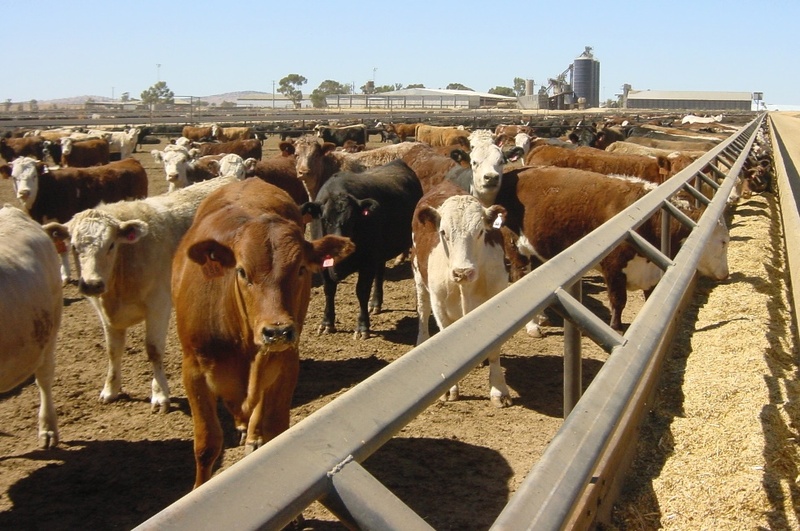 As mentioned earlier, Australia’s feedlot industry has taken a proactive approach to ensure the judicious and prudent use of antibiotics over time, which has set the Australian beef cattle sector apart from other industries and from competing cattle producing nations. In Australia, unlike many other countries, a veterinary prescription is required to obtain antibiotics for use in animals. Additionally, under the National Feedlot Accreditation Scheme, antibiotics can only be administered by trained individuals, and every use must be recorded. Australia also has legislation in place that bans the use of critically important antibiotics in both animal and human medicine. In fact there is only one class of antibiotics used for human health that is also permitted for use in cattle production in Australia, and it is only for “emergency measures”. The strong orientation of Australia’s beef cattle industry towards export markets has also meant that the industry had had to be additionally careful about the use of products which may have beef residue impacts to maintain market access. Mr Gordon said the Australian cattle industry needed to be able to maintain access to antibiotics in future, and hence it was vital to manage antibiotic usage very carefully. Other measures introduced by ALFA in recent years included the introduction a new comprehensive baseline and benchmarking program to accurately monitor all antibiotic use across the industry, and R&D programs focused on the establishment of a stewardship program to ensure continued prudent management of antibiotic use and improving cattle health through low stress stock handling practices prior to feedlot entry to further reduce the need for antibiotics. The success Australia has had in driving behavioral change through quality assurance systems is reflected in the results of numerous intentional studies and reports which show that Australia’s cattle industry uses less antibiotics than other industries and other countries and has less issues with antibiotic resistance. However, while Australia’s feedlot industry had a very good story, Mr Gordon said the issue of antibiotic resistance was not a story of one industry against another. “It is a story of one health because everyone has a role to play in terms of antibiotic resistance,” he said. “It shouldn’t be about pointing figures and apportioning blame.